Free Shipping through the end of the year for Honor Flight Hubs. I have also built-in additional discounts at quantities of 100 books ($0.75 per book) and 400 books ($1.50 per book). So for the price of a baseball cap, you can give your favorite veteran a book reflecting a lifetime of memories to share with family and friends. Some of the hubs sell the book as a fund raiser and I am happy that it has become “self-supporting” in that context! It is delightful and a great honor to be part of the Honor Flight effort. Watching everyone strategize their fundraising, logistics, and communications to a unified goal is fascinating and inspiring.. The best example was the “shut down” last year. The perfect outcome which Honor Flight achieved was a reflection of the Nation’s esteem for its World War II veterans and the Honor Flight program. 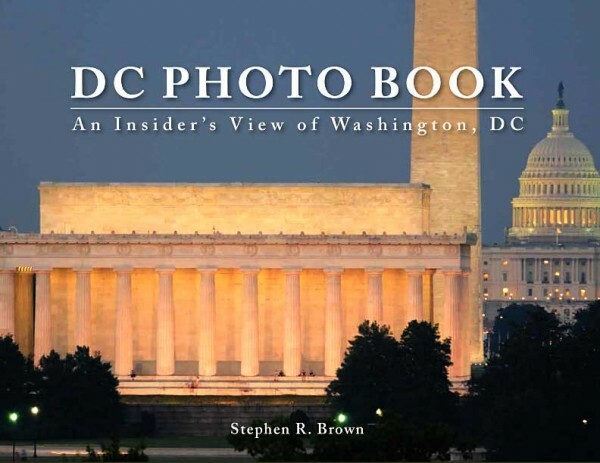 DC PHOTO BOOK: An Insider’s View of Washington, DC is the most comprehensive and current coffee table book on Washington today. 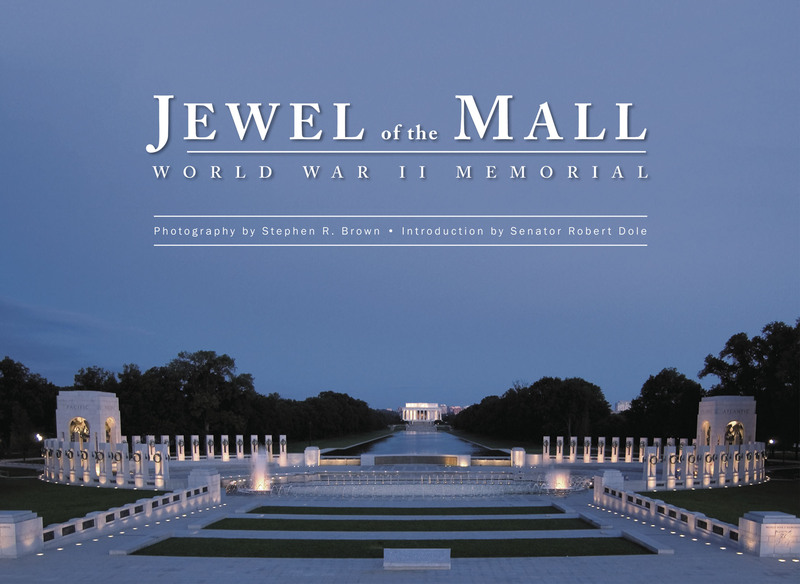 It contains unique Memorial and Mall vistas and is the only book current with the new Air Force Memorial, the 9/11 Memorial and unprecedented views of Arlington Memorial. I consider the books historic document and they are updated every time there’s something worth photographing! 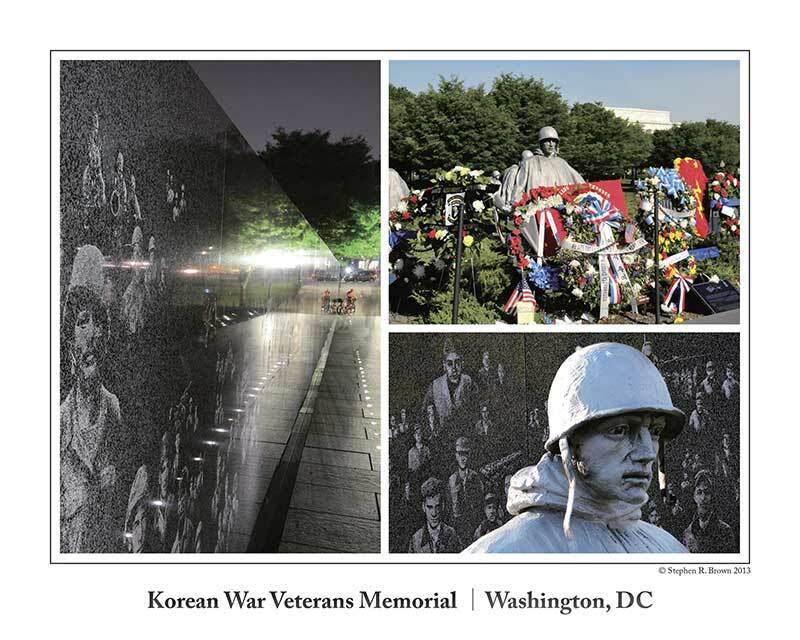 With the free poster, it is perfect for Honor Flight Hubs transitioning to Korea and Vietnam. The six pages on Vietnam are classic images made the day the Wall opened. It was an amazing day and so are these images. I slept at the apex of the Memorial the night before the opening and so had a prime spot! The poster has been for me an interesting and innovative solution to a specifically Mall legal problem. The sculptor of the Korean War Memorial is engaged in a legal battle with the Post Office and to avoid any involvement, I am distributing these posters free. I think it completes and enriches the DC PHOTO BOOK for Honor Flight Hubs as each veteran receives a print/poster suitable for framing. Work continues on the new edition of TIDEWATER: The Chesapeake Bay in Photographs. 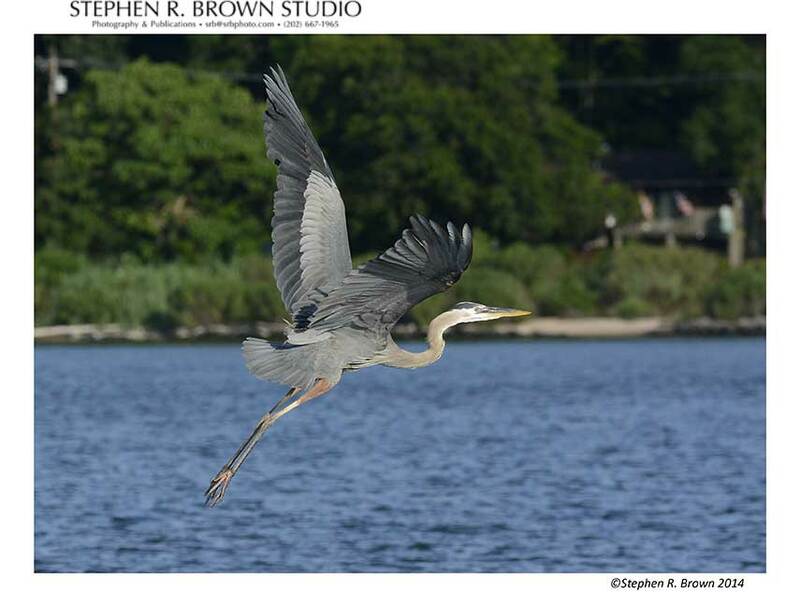 The photograph of the Heron below is one of my recent favorites and will be included with a few new images from my recent travels on the Bay. Don’t forget, to plan your photograph!y and events. 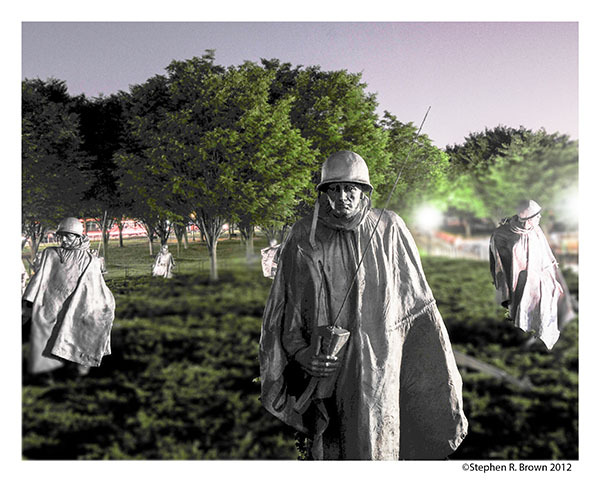 I have put some tips for photographing at the Memorial on my website. I just added a couple of pictures and it’s constantly updated.. You should be planning your photo needs for your future advertising or feel free to look at my image library. Just ask before you use! ***If you are an Honor Flight leader, consider using the Women in Military Service For America Memorial for a lunch stop as they have the three things missing on the Mall: a comfortable place to sit, cold water and most importantly, clean and comfortable restrooms. The cost of setting up tables for your veterans in the air conditioned luxury of the Women’s Memorial is about one-fifth of the price of a tent rental (when that was possible) at the WWII Memorial! Better yet, your vets get to see the construction and night views through my images. Book in advance by emailing Donna Houle, the Director of the Memorial Education Center. Her phone number is 703-892-2606. While you’re there, make sure you visit the terrace level of the Memorial. ***As you exit the elevator, you will find yourself right in the very center of the cemetery looking out to the Lincoln Memorial. It’s quite a panorama–so nice in fact that I donated two pages to it in my DC PHOTO BOOK. The show at he Women In Military Service to America Memorial will be coming down end of September. It was not originally intended to be up this long and while it has survived the blazing sun and humidity it needs some sprucing up. So far over 250,000 people have been through the museum and a number of Honor Flights have had the opportunity to stop by. ! Prints are always available in a variety of sizes, papers and frames so visit the image library. Senator Dole is on the mend and back on the prowl”. In the last couple of months , he has been a regular at the WWII Memorial and also making a grand round of Kansas’s ninety counties. His attorney Marion Warren reports that he is getting more press than ever. His political style is something we yearn for here in DC. Maybe it’s time for a comeback! Anyway, it’s nice to him on his feet again. 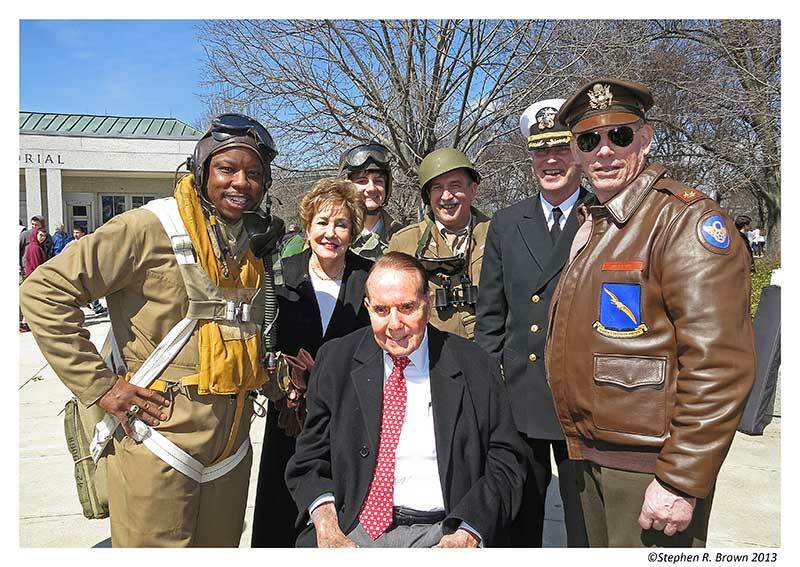 He’s been at the WWII Memorial every weekend this year with the effervescent Senator Elizabeth Dole. They are pictured here with John MW. McCaskill, John Liszewski, and C. Patrick McCourt. DC Volunteers from all three airports and the WWII Memorial are a credit to the city and I am proud to be able to document your efforts although everyone seems to be taking great pictures. It’s a wonderful age for photography and for volunteers. Let me know what you think! As always, join the conversation on Facebook and Twitter. 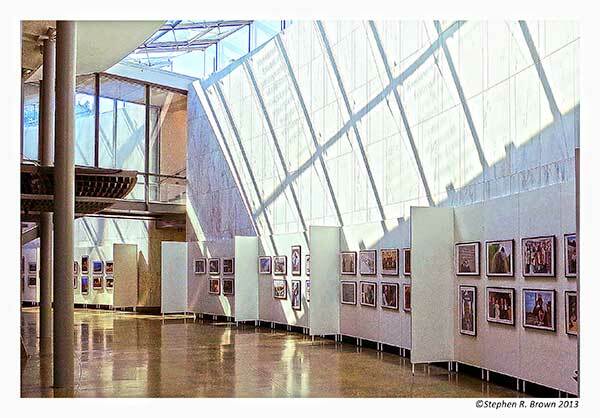 July 14, 2014 | Filed under Blogs, Books, DC Photo Book, Honor Flight, Photography, WWII Memorial and tagged with Arlington Cemetery, Chesapeake Bay, Current Affairs, DC PHOTO BOOK, Environment, fishing, Jewel of the Mall, Memorial Day, National Park, WWII Memorial.